32. Billy (Dacre Montgomery). Racism is never a good look, but in addition to hating Lucas for no other discernible reason, Billy is jerkbag bully too. 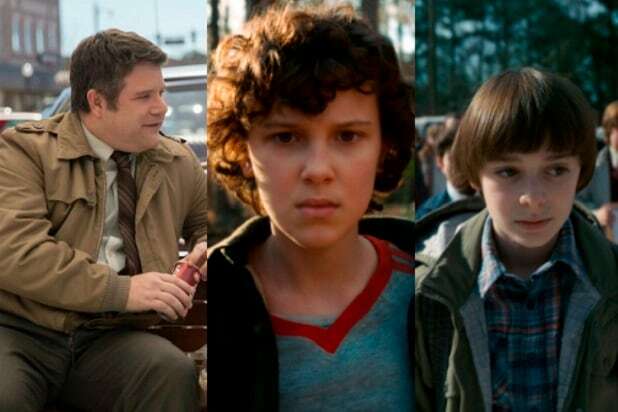 His big purpose in the show seems to be to hassle his step-sister Max and Steve Harrington. Honestly, it seems like a big waste of a mullet. 31. Ted Wheeler (Joe Chrest). 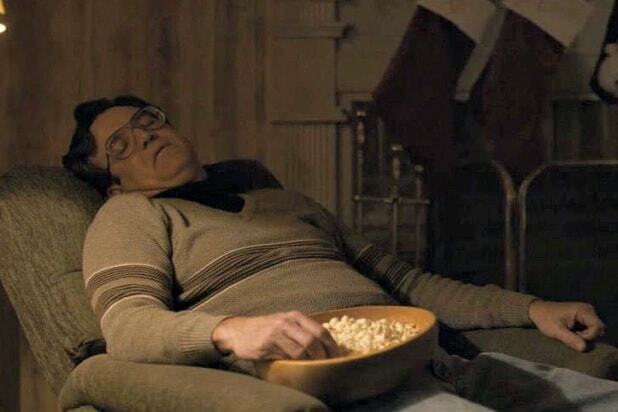 Other than Will and Jonathan Byers’ deadbeat dad, Mike and Nancy’s dad is the worst available dad. He’s completely inattentive, seems to do nothing around the house, and couldn’t seemingly care much less about what his kids are up to at any given time. 30. Dottie (Anna Jacoby-Heron). There’s not a lot of character given to Dottie as she fills out Kali’s “Lost Boys”-esque group of young murderers. 28. Officer Callahan (John Reynolds). This dude seems allergic to work. 27. Officer Powell (Rob Morgan). Seemingly the only other cop under Hopper’s command is more on the ball than his partner. Powell mostly seems exa sperated to have to deal with so much weird stuff all the time. Guy just wants to write speeding tickets and take it easy. 26. Karen Wheeler (Cara Buono). Mike and Nancy's inattentive, gossip-prone mom looks like she's about five seconds from divorcing their dad and bouncing from her boring Hawkins life altogether. She shares a flirty moment with Billy that seems like it could open that door pretty easily. 25. Axel (James Landry Hebert). If a group of scientists genetically engineered a being composed completely of ’80s punk stereotypes, it would come out as Axel. 24. Funshine (Kai L. Greene). The big guy who blocks doors seems like a nice dude. Apart from being a part of the punker murder club. 23. Mrs. Henderson (Catherine Curtin). Dustin's mom is a little intense, but she certainly didn't deserve Dustin lying to her about that cat. Not cool, Dustin. 21-22. Mr. and Mrs. Sinclair (Arnell Powell and Karen Ceesay). Lucas' parents seem like they might be the most well-adjusted of any in the group. But like the others, they're also completely unaware of the death-defying stuff their son gets up to, and in no hurry to check. The upshot is, they're raising a son with solid critical thinking skills. 20. Terry Ives (Aimee Mullins). Eleven’s mom has been so zapped by the years of searching for Eleven and Dr. Brenner’s MK Ultra experiments that she’s barely present anymore. She doesn’t do much but point Eleven in the right direction, but there’s a suggestion that there could be more to her as a character in the future. 19. Keith (Matty Cardarople). Arcade worker Keith is the perfect weird, nerdy authority figure. He’s never going to get a date with Nancy with the help of a group of her brother’s friends, and he has to know that when he helps Lucas. So maybe he’s just a good dude, deep down. 18. Mr. Clarke (Randall P. Havens). The kids' science teacher knows his quantum physics (or is it metaphysics?) when it comes to explaining crazy concepts like alternate dimensions. Too bad he doesn't get to do much Upside Down consulting or monster science in "Stranger Things 2." He's wasted on just being a regular teacher. 17. Becky Ives (Amy Seimetz). Becky's got it rough, taking care of her sister Terry, but she's still cool enough to offer Eleven a chance to live with her family within moments of meeting her. Unfortunately, she just doesn't have a whole lot to do in "Stranger Things 2." 16. Dr. Owens (Paul Reiser). The new face of the callous, experiment-on-whoever government in Hawkins isn't just a boring replacement for Dr. Brenner (Matthew Modine). Dr. Owens at least cares about the people he's studying. He might be dismissing Will's scary monster visions, but at least it's not because he runs a scary lab or leads a team of murderous government agents. 15. Murray Bauman (Brett Gelman). The conspiracy-theorizing former journalist hired by Barb's parents to get to the bottom of their daughter's death is actually a pretty savvy guy. He's kind of an abrasive jerk, but that's just flavor for being insightful, and willing to push hard to get justice for Barb (or exercise a personal vendetta against the government). 14. Kali (Linnea Berthelsen). Eleven’s “sister” in Hawkins Lab’s experiments has decided to get revenge on the people who harmed her, and she’s even gotten together a band of punk folks to help. We don’t get to spend much time with Kali, but there’s a clear line from Eleven to Kali that shows what Eleven could become, if she allows herself to. 13. Max (Sadie Sink). It’s too bad Max is often used as a bit of a plot device for most of the season. The new member of the “party,” as our four heroic “Dungeons & Dragons” nerds refer to themselves, Max is capable and smart, and generally refuses to put up with anybody’s BS. But it takes most of the season for her to really start to shine as a character, and not just a point of contention for the boys. 12. Mike Wheeler (Finn Wolfhard). After being the driving force of helping Eleven and saving Will in Season 1, Mike’s a bit of a jerk in “Stranger Things 2.” It’s good that he’s there for Will, more than any of his other friends, but just because he’s sad about Eleven doesn’t mean he has to attack Max all the time. Get it together, Mike. 11. Jonathan Byers (Charlie Heaton). In Season 1, Jonathan had a bit of a creeper vibe going, what with taking secret photos of people (Nancy) from the woods. He’s seemingly been schooled on how not cool that is, which is good, and he makes a pretty good sidekick for Nancy “let’s take down the government” Wheeler. 10. Nancy Wheeler (Natalia Dyer). In “Stranger Things 2,” Nancy’s got a crusade: #JusticeForBarb. Her willingness to do whatever it takes to get it done, including tricking government agents, makes her one of the more exciting characters to watch this season — even if she inexplicably took Steve Harrington back despite his awful actions in Season 1. 9. Steve Harrington (Joe Keery). Steve got cool between seasons. Fighting a monster seems to have humbled the king of Hawkins High, and he's turned from the kind of clown who would defame his girlfriend in spray paint into a (mostly, kind of) decent boyfriend. Steve's at his best as a member of Hawkins' monster squad. He might not be a good boyfriend, but he's a loyal teammate. 8. Joyce Byers (Winona Ryder). When Will disappeared in Season 1, it was pretty much Joyce’s willingness to believe in seemingly supernatural stuff that saved his life. Joyce remains a driving force in "Stranger Things 2," mostly just by believing in her son and his experience and being willing to act on crazy information. More than one character this season owes their life to Joyce. Seems like the show will never let her really be happy, though. 7. Lucas Sinclair (Caleb McLaughlin). Last season, Lucas tended to be the uptight friend who clashed with Mike and Eleven. The tables are turned this season, and Lucas has become the no-nonsense buddy who’s keeping everybody honest. He got everybody’s back, even if Dustin and Mike keep letting him down (and lying about strange creatures). 6. Will Byers (Noah Schnapp). After being absent for much of Season 1, Will’s back with all kinds of weirdo junk to deal with. Possessed, fighting a mind-monster, puking up slugs and navigating bullies, Will’s got it hard. 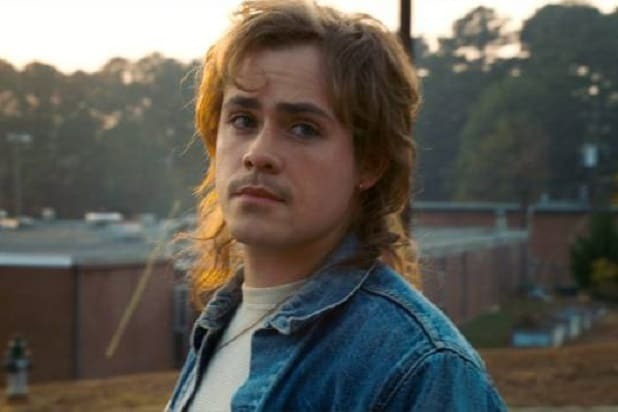 His struggles to maintain his humanity and protect his friends from whatever is happening to him keep much of “Stranger Things 2” going. 5. Erica Sinclair (Priah Ferguson). Lucas' little sister takes no crap from her brother or his dopey friends. 4. Eleven (Millie Bobby Brown). Eleven sort of gets the short shrift in “Stranger Things 2.” Confined to Hopper’s cabin, it’s not until late in the season that she starts to uncover her own story or become part of the greater goings-on in Hawkins. Where Season 1 was largely Eleven’s story, it feels like we’ll have to wait for Season 3 before Eleven really gets a chance to figure herself out. 3. Chief Hopper (David Harbour). Hopper is still pretty messed up by his generally broken life, but he's trying to do what's right -- and that means protecting Eleven. His struggle to balance being a cop, a protector and a dad, and often failing at one or more of those things, makes him and his relationship with Eleven the emotional core of the show. 2. Dustin Henderson (Gaten Matarazzo). The comic relief member of the party seems a little out of character when he adopts a pet that is clearly a monster. That said, he's definitely having the most fun of anyone else in "Stranger Things 2," and his monster-hunting team-up with Steve Harrington is delightful. 1. Bob Newby (Sean Astin). A nerdy square, but definitely an all around good guy who's just happy to help as best he can at all times. A true hero.